Sugar Style is the easiest way to make your event more exciting! We are located in Newcastle, NSW. We service the Newcastle, Lake Macquarie, Hunter Valley, Central Coast and some parts of Sydney (min guest number required). How can we make your event more amazing? For more details and pricing about our packages, simply fill out the contact us form below and we will be happy to give you all the juicy details. We cater for wedding candy buffets, engagement parties, baby showers, children's birthday parties, special occasion parties and corporate functions. Our signature lolly buffet with all of your favourite lollies to suit the theme of your event. Candy is displayed is stylish apothecary glass jars where guests will enjoy filling their goodie bags for a perfect wedding or party take home souvenir. Who doesn't love a doughnut? Especially when there's an entire buffet of them to choose from! Gourmet doughnuts like you haven't seen before! A really unique dessert idea that will leave a lasting impression. Corporate events are instantly transformed from drab to fab with our customised and branded lolly bars or dessert tables! We can design a candy buffet or dessert buffet showcasing your logo and acting as the perfect place for your clients and colleagues to mingle and network. Want more than just candy? Our combo table is the most popular selection which includes a beautiful selection of delicious single serve desserts that will make your guests giggle with glee plus the fun of a candy buffet all in one! A fantastically styled drink station can be a fun way to entertain your guests! A beverage buffet is a sure way get the party started! Sugar Style can also supply personalised mason glasses for your guests to sip from. Are you wanting to celebrate your, a friend or your little ones birthday and deliver something special? Start with an amazing Sugar Style table whether it be dessert, candy or doughnuts to kick off the day or night with something special! Have you been trawling Pintrest and just want one of those amazing parties everyone is pinning? We can deliver it to you stress free! Our luxury styled dessert tables & backdrops can act as a stunning centrepiece and is sure to wow your crowd! Not much of a sweet tooth but still wanting something to WOW your guests? We can put on a spread to remember with our 1 or 2 metre grazing planks full of cheeses, antipastos and dips to blow your mind! Watch as your guests eyes fill with glee when you throw a 'Sugar Style' kind of party! 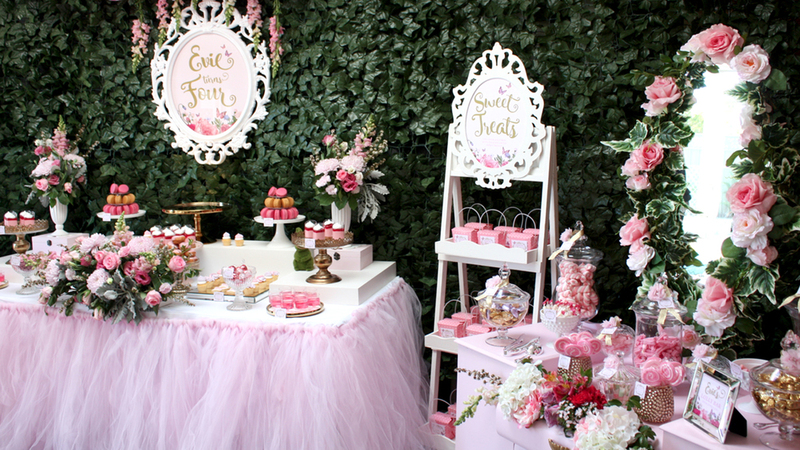 Combine a dessert table, candy bar and lemonade stand to create a magical world for your little one! Almost any theme and styling is available! "I wanted something really special for my mums 60th Birthday celebration. I was recommended to Sugar Style and from our first conversation I knew they understood exactly what I was after..... From the floral arrangements in cute glassware on the tables to the beautifully styled cake & candy table and personalised frame, the room was transformed and to see the look on mums face when she entered was priceless. A huge thank you for making the day so special and relaxed." "Mary Kay holds an annual awards night for it's team members and this year we were treated to something really special. Sugar Style set up an amazing pink themed Candy & chocolate buffet which was an absolute hit and the centre piece to the entire event! We all had such fun filling our goodie bags with lollies and chocolates! I felt like a kid in a candy shop! Thank you - we can't wait for next year!" What will it cost to WOW the pants off your guests? Each and every dessert, candy, doughnut bar and grazing plank is unique and customised for you event! There are no two the same! Please fill out our enquiry form to be sent a detailed proposal with all inclusions. Prices below are an indication only. Set up, styling, backdrop, backdrop sign, props, fresh flowers, candy, scoops, candy boxes, stand for boxes, custom labels and pack down. Set up, styling, backdrop, backdrop sign, props, fresh flowers, doughnuts, boxes, stand for boxes, custom labels and pack down. Want to know more about pricing & talk style options? We service the Newcastle, Lake Macquarie, Hunter Valley, Central Coast and some parts of Sydney on request. Thank you for you enquiry! 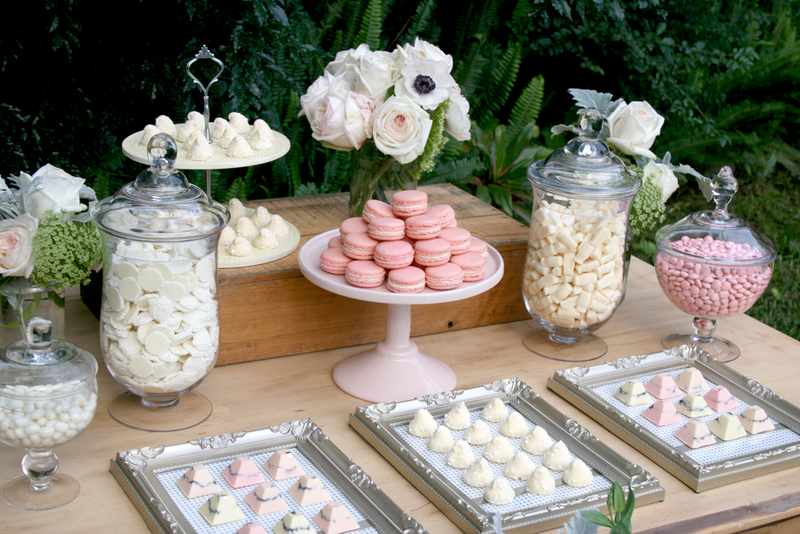 Our candy buffet and styling expert will be in contact very shortly to answer all of your sweet questions!